Almost there: Setia City Mall will be ready by May. SETIA City Mall in Bandar Setia Alam, Shah Alam has received overhelming reponse with more than 95% of its retail outlet already leased out. Setia City Mall marketing director Daniel Steffe said the response was good especially since the mall would only open its doors to the public in May. “Being a neighbourhood mall, we received plenty of feedback from residents in the area through Facebook and Twitter. “From the feedback, we gave leases to tenants that met our criteria. Like any other shopping centre, Setia City Mall will open from 10am to 10pm daily. 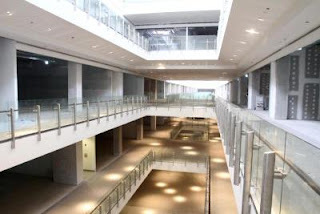 Natural light: The mall offers plenty of light thanks to the skylights. “Visitors can expect a wide range of offerings including Golden Screen Cinema’s nine-screen cinema, Parkson outlets, a Wangsa Bowl bowling alley, Harvey Norman, Courts, Zara and a Fitness First gymnasium. “They also will not have to worry about parking as we will provide about 2,700 parking bays,” he said. “We are also looking at having a karaoke outlet here and there is a park on the ground floor for children to play in. Parents can watch their children from the comfort of F&B outlets such as Starbucks, Delicious, Carl’s Junior and TGIF near the park,” Steffe added. Key green initiatives in Setia City Mall include a high efficiency air-conditioning system, the implementation of an integrated building energy management system, natural daylight in the concourse and car park and energy-efficient escalators and lifts. 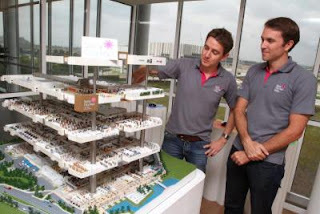 Good stuff: Setia City Mall marketing director Daniel Steffe (left) and development director Robert Spinks taking a closer look at a model display of the mall at The Setia Welcome Centre in Setia Alam. The mall includes a 20% saving in water consumption with rainwater harvesting for landscape irrigation, low-emissivity glazing, bicycle parking bays and bio-composting of organic food waste. Setia City Mall development director Robert Spinks said he hoped that all the outlets would open at the same time when the shopping center opens it doors. “It would be great if all the outlets open at the same time. The Setia City Mall is a 50/50 joint venture between Lend Lease and S P Setia. The RM450mil retail destination has also received Singapore’s Building and Constructrion Authority (BCA) Green Mark Gold Award. It it the first shopping center in Malaysia to receive the accreditation. The award is in recognition of the Setia City Mall’s sustainability initiatives, which meet the five evaluation criteria — energy and water efficiency, environment protection, indoor air quality and innovation. IGB Corporation Bhd posted an increase of 36.09 per cent in net profit to RM237.65 million for the financial year ended Dec 31, 2011 from RM174.62 million previously. Revenue for the year rose to RM772.13 million from RM719.36 million a year ago. For the fourth quarter (Q4), net profit surged to RM91.88 million from RM53.1 million in the previous corresponding period due to the improved performance by the hotel division as well as the inclusion of a one-off gain on the disposal of an associate company. Revenue in Q4 was up by five per cent to RM225.03 million from RM214.98 million in the same period previously due to higher contributions from property investment, hotel and construction divisions. IGB said although global economic conditions are still expected to be challenging, it is envisaged that the local economy would continue to grow, albeit at a moderate pace. “The group’s three major operating sectors - property development, property investment and hotel - are not expected to be significantly adversely affected, barring a drastic change in the global and local economic conditions,” it said. For property development, the group is targeting to launch a couple of high-end condominium developments. In the commercial sector, all office buildings located in Mid Valley City have achieved occupancy rates in excess of 95 per cent while rental renewals in 2011 have shown a five per cent to 20 per cent increase. The total rental collections are therefore expected to increase in the current year, it added. In the retail segment, the group’s two major shopping malls, namely, Mid Valley Megamall and The Gardens Mall are currently enjoying 100 per cent occupancy and contributions from these malls are expected to improve compared to the last financial year. IGB is confident the operational results for the current fiscal year will be better than the previous year. ONE of the main contributing factors to Kuala Lumpur’s homeless problem is the lack of affordable housing for the poor, said Universiti Kebangsaan Malaysia’s Institute of Ethnic Studies research fellow Datuk Dr Denison Jayasooria. According to Denison, the shortage of affordable housing, particularly to renters with extremely low incomes like the rural poor, often result in them ending up on the streets. Denison, who was responding to StarMetro’s cover story yesterday, said hundreds of people from rural areas come to the city in search of work and a better life, yet when they arrive they find the cost of living in KL is too high. “Before they can even find a job, finding a reasonable accommodation that is close to their workplace with decent facilities and low rental is simply impossible,’’ he said. “With no decent and cheap housing for these people, it is not surprising to find them seeking shelter under the bridges in the city,’’ Denison said. Denison said the government, and in this case Kuala Lumpur City Hall (DBKL), must address the shortage of rental housing for these group. “DBKL must provide a decent hostel style housing with a common bathroom and water facilities at least, with the rental at RM10 a day. And these accommodation must be given to genuine cases who have come to the city seeking better employment for casual jobs like despatch worker with low income,’’ he added. “The city must review this matter and find solutions for these group,’’ he said. “There must be constant monitoring of this problem as well,’’ Denison added. Denison said most of the big cities in the world have an affordable home system that looks to the needs of the rural poor and KL must start looking at providing such facilities for its homeless community. Kuala Lumpur City Hall Advisory Board member C. Ramanathan agreed that lack of affordable housing is a serious concern for the city, but added the problem is not just confined to the young working adults but students who come to the city to seek education or enrol in courses. Ramanathan, who holds the housing and squatter relocation portfolio in the DBKL board, said homelessness comes about when people who have to choose between shelter or other basic needs tends to forgo the most expensive need. “When people are unable to pay for basic necessities like house, food, medicine, education, they often they choose to live in the streets as housing absorbs the biggest portion of their income,’’ Ramanathan said. Federal Territories and Selangor Community Association (Permas) president Tan Jo Hann said a federal policy was needed to look at the housing needs of this group. “The Government must provide the safety net for them, in fact City Hall can offer the empty PPR units (People’s Housing Scheme) for these group while they look for a job,’’ he said. The arrangement, Tan added, though temporary, will provide them with a roof over their heads and also keep them off the streets or else more and more slums will emerge in the city. KRISASSETS Holdings Bhd has revalued Mid Valley Megamall 18 per cent higher at RM2.36 billion as at December 21 2011, compared the revaluation as at December 30 2009 of RM2 bilion. 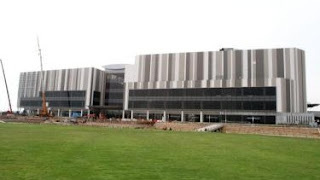 It said the market value of The Gardens Mall is RM930 million, which is 13.4 per cent higher from the valuation on September 30 2011, at RM820 million. The company told Bursa Malaysia that the revaluation was carried out by independent professional valuers, Jordan Lee & Jaafar Sdn Bhd. Mid Valley is owned by Mid Valley City Sdn Bhd, while The Gardens owned by Mid Valley City Gardens Sdn Bhd, both wholly-owned units of KrisAssets. PETALING JAYA: The sale by tender of the five parcels of freehold land in the Klang Valley owned by the late Tan Sri Lee Yan Lian's family has attracted strong interest from bidders. The closing date for the tender was on Jan 30. Colliers International Property Consultants Sdn Bhd is the property agent for the exercise. Colliers managing director Teh Teik Bin said the consultancy was now assessing the bids and the successful bidders would be finalised next month. “The bidders are mostly Malaysians and they comprise both companies and individuals,” Teh said. The five parcels of land are part of the prime land in the Lee family's estate. A well-known philantrophist and community leader, Lee was a successful housing developer in the 1960s until his demise in 1983. An industry observer said that in the wake of land scarcity in the Klang Valley, these parcels were among the last sizeable freehold land suitable for redevelopment into mixed property projects. In the sale tender, a 7,239-sq-ft land in the prime location of Jalan Bukit Bintang, Kuala Lumpur, has a reserve price of RM50mil. The land is now occupied by The Malaysia Hotel. The second piece, measuring 276,832 sq ft at 4 miles of Old Klang Road (near the Pearl International Hotel), has a reserve price of RM90mil. The other three parcels are in Petaling Jaya. A 265,245-sq-ft plot in Jalan SS23/15 in Taman SEA has a reserve price of RM150mil, and another piece of 82,715 sq ft in Jalan SS2/64, which is currently used as a car park, is going for RM100mil. A vacant 84,315-sq-ft land made up of seven plots with old bungalows on two plots in Taman Tan Sri Lee Yan Lian in Section 16 has a reserve price of RM25mil. GLOMAC Bhd’s wholly-owned subsidiary, Kelana Kualiti Sdn Bhd, has bought two parcels of lands via an auction for RM44 million. The land is located north of Klang town. Glomac said the acquisition is in line with its core strategy of acquiring suitable development landbank within the Klang Valley with strong potential for prime and sizable new developments. “The group intends to develop a mixed development project on the lands,” it said in a statement to Bursa Malaysia yesterday. KUALA LUMPUR: G Residence, developed by Opt Ventures Sdn Bhd, a unit of Tan and Tan Development Bhd, is expected to be sold out by year-end. Tan and Tan Development is an IGB Corp Bhd company. IGB's head of property development, Teh Boon Ghee, said: "The residence consists of two blocks of serviced apartments and a two-storey retail shop. "All the units in Block A are sold out, and only about 40 per cent units are available in Block B," he told a press briefing on Tan and Tan Development's latest project, the G Residence. The development, located on a 1.46-hectare land along Jalan Desa Pandan here, has a total gross development value of RM430 million. The residence was officially opened for sales on Dec 8 last year, and is scheduled for completion in Feb 2015. G Residence is priced at an average of RM650 per square feet, and would range between RM610,000 and RM1 million per unit. Meanwhile, Teh said: "We are always looking for land to buy and develop, especially in the Klang Valley area." 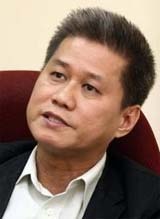 Tan and Tan Development still had 688 hectares of undeveloped land that would be fully utilised in 15 years, he said. SINGAPORE: PropertyGuru, Singapore’s leading property site, revealed its fourth quarter 2011 survey results on the property market sentiment in Singapore. The survey indicates that home buyers and investors expect the new government measures to lower the cost of property, compared to third quarter 2011. Largely due to the impact of ABSD (Additional Buyer’s Stamp Duty), 52% believe that property prices will decrease in the next six months. The government has imposed an ABSD for private property of between 3% and 10% for Singaporeans, Permanent Residents and foreigners to moderate investment demand for private residential property and promote a more stable and sustainable market since Dec 8, 2011. Rentals were also expected to fall in the same period as a reaction to the availability of future supply. 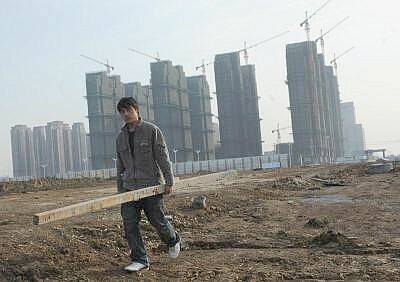 BEIJING: Home prices in more than two thirds of China's major cities continued their slump in January from a month before, the government announced, as moves to cool the market continued to bite. Of 70 cities tracked by the government, 48 saw prices fall month-on-month, slightly fewer than the 52 cities that recorded negative house price growth in December, the National Bureau of Statistics said, while 22 were seen as stable. Beijing has introduced a range of measures aimed at curbing the real estate market over the last year, such as bans on buying second homes, hiking minimum down-payments and introducing property taxes in select cities. But analysts worry the correction could have broader implications for the economy, which is already widely forecast to slow this year from 9.2% growth in 2011. Premier Wen Jiabao reiterated this week that the government had no plans to relax policy restrictions aimed at cooling the market. Property analysts EC Harris said in a research note that the slowdown was likely to continue, while warning of the risks for the wider economy. “Property prices in the mid- to long-term will likely continue to decrease as long as the government's current policies remain in place,” the firm said. But the measures “could lead to a cascading' effect that causes the economy to slow down too much”, it added. China's property market weakened last year, reflected in slower investment and sales, as the government sought to bring down runaway housing prices on fears of a speculative bubble. In December, China moved to ease credit by trimming bank reserves but the property industry is waiting to see if the government might relax measures aimed specifically at the sector. China's Renmin University has said the government would likely relax some market curbs in 2012 due to concerns that slumping prices could hurt growth. Analysts forecast housing prices could fall even further when the measures are eased, as pent-up supply pours into the market.